A selection of our past events to give you a taste of what happens at a Durham alumni gathering! Durham University welcomed back the class of 69 for their 50th Anniversary Reunion celebration. 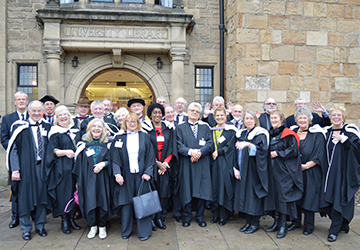 They processed in the congregation ceremony, followed by afternoon tea with the Vice-Chancellor, Heads of Houses and Durham friends, sharing happy memories and their pride in being a Durham graduate. 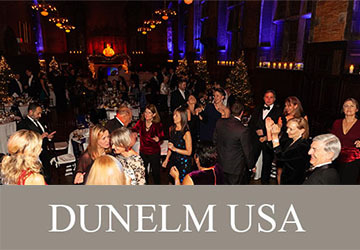 We were delighted to welcome so many alumni and friends to the Gala who want to stay connected with Durham and to be an active part of our global family. It was a joy to see so many faces reunited and to share in the celebrations of our Durham experiences and the holiday season. The Gala was also a huge success with benefits that will be felt for years to come by students here and, through them, around the wider world. As you know, a Durham education is unlike any other and we are immensely proud of our alumni and everything you achieve - including your support for the next generation. Clyde & Co hosted the first of Durham Law School's "In Focus" professional networking events. 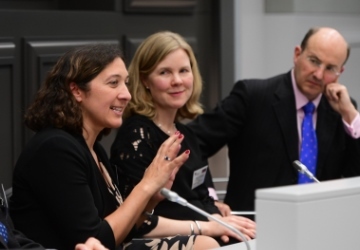 It brought together 40+ alumni working in the areas of commercial and corporate law, an area of legal research where the law school is a global leader. It was a fantastic evening of networking, summed up by alumnus Sean Sexton (Law, St Cuthbert’s Society, 1977-80) who remarked, “I rarely enjoy networking events. I endure them. Last night was exceptional. I was enthused”. We are very grateful to James Major and his colleagues at Clyde and Co for being such generous hosts. Thank you to those of you who joined us on our China tour in September from dinner in Shenzhen with Professor Rob Dixon to our evening reception in Beijing with Professor Stuart Corbridge and the team. These were all hugely successful events and it was great to see so many of you turn up sharing memories, making new friends and catching up on what Durham University has been up to recently. 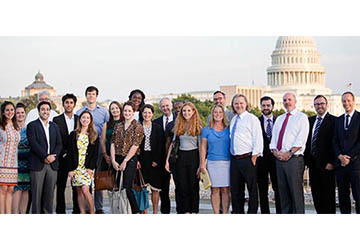 Thank you to those of you who joined us at our first official US Careers Networking Forum event for alumni looking to network and advance their career opportunities in the arena of Government, Law, and Politics. Our thanks go to Charles Kotuby Jr. (Law, Ustinov, 2000) for kindly hosting us at the stunning Jones Day offices in Washington DC. 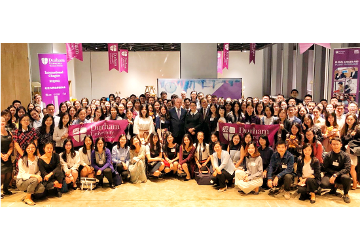 Professor Stuart Corbridge, Vice Chancellor and Warden, hosted his first major alumni event in South East Asia. 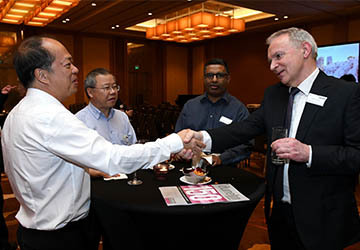 Over 80 alumni and friends, and even a current student, gathered together at the iconic Marina Bay Sands hotel to meet with Professor Corbridge and hear about the latest plans and developments for Durham University. 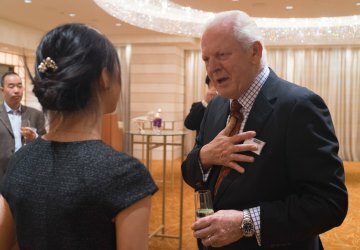 Sir Thomas Allen, Chancellor, hosted his first major alumni event in Japan. Over 65 alumni, friends, and even students on exchange, gathered together at the Peninsula hotel to meet with Sir Tom and hear about the latest plans and developments for Durham University. 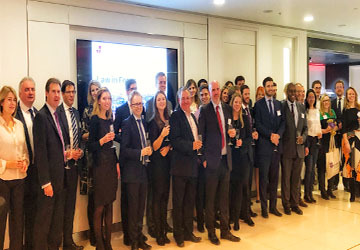 Michael Izza, CEO of the ICAEW and fellow Durham alumnus (Law, St Cuthbert’s, 1979-82), hosted a professional networking event for alumni working in accountancy with a panel discussion on the topic ‘Leadership in the 21st Century’. 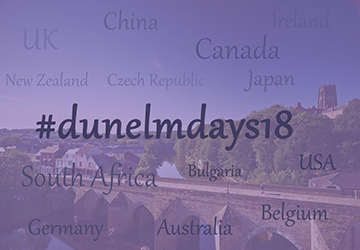 Dunelm Days is a global series of co-ordinated, volunteer-led events. In 2016, we celebrated the 150th anniversary of the formation of the first Durham alumni group, Durham University Society. 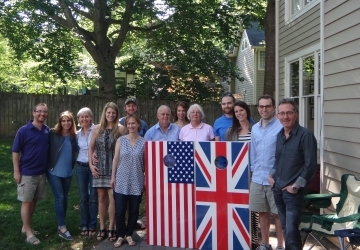 The volunteer-led celebration saw over 200 alumni attend 22 events across 6 continents.